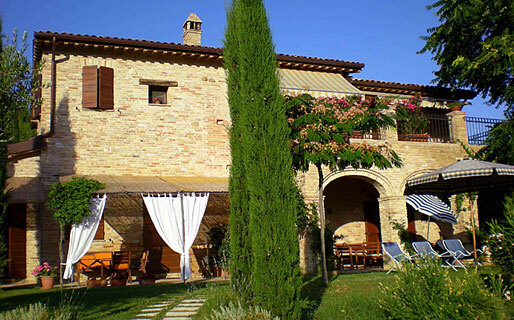 Perched on a hill in the heart of Italy's green and wonderfully varied Marche region, the Agriturismo Fiorano lies at the center of a large organic farm. The old farmhouse, dating back to the mid 19th century, has been masterly transformed in stunning guest accommodation, in which to enjoy the most peaceful of holidays. 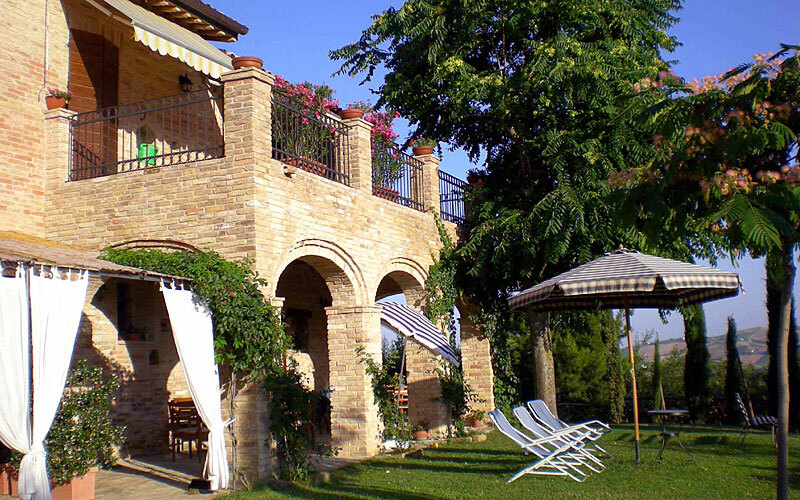 The simple life of rural Italy has provided the inspiration for this superb farm-stay. The property's large living room still features the immense fireplace and cross-vaulted ceilings of the original building. The conversion of the edifice in hotel was carried out using only environmentally friendly building materials, and included the installation of eco-sustainable energy producing systems. 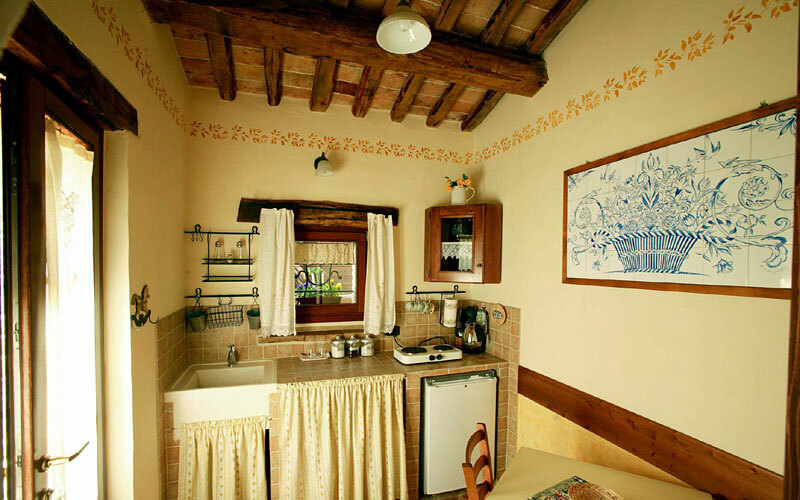 The Agriturismo Fiorano has an independent apartment and three bedrooms. A combination of original architectural features and period furnishings result in elegant yet at the same time extremely welcoming spaces, in which every modern comfort can be found. The apartment, complete with fully equipped kitchen and private terrace with pergola, provides charming holiday accommodation for both able-bodied and disabled guests. Numerous the occasions to experience Agriturismo Fiorano's passion for genuine gastronomic fare: such as in the morning, when a delicious breakfast of cakes, jams, honey and other delicacies produced on the farm is served either in the inside dining room or al fresco on the terrace. In the summer, traditional local dishes are prepared exclusively for guests staying at the Agriturismo, to be accompanied by the excellent D.O.C. and IGT wines made on the estate. 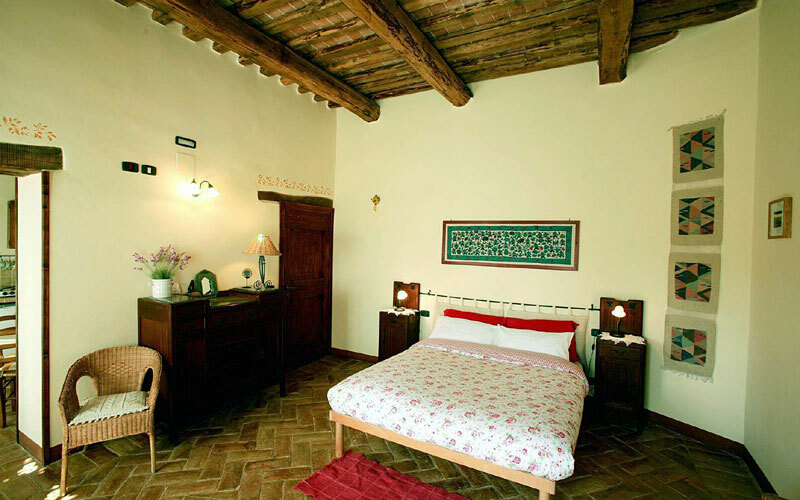 Guests staying at the Fiorano have the opportunity to partake in any of a host of leisure activities available in the immediate vicinity of the Agriturismo: tennis, horse-riding, swimming, mountain biking. Special conditions have been obtained for guests at a nearby bathing resort. The sea and beaches of the Marche, those of the famous Riviera delle Palme, lie a mere 15 kilometers away. 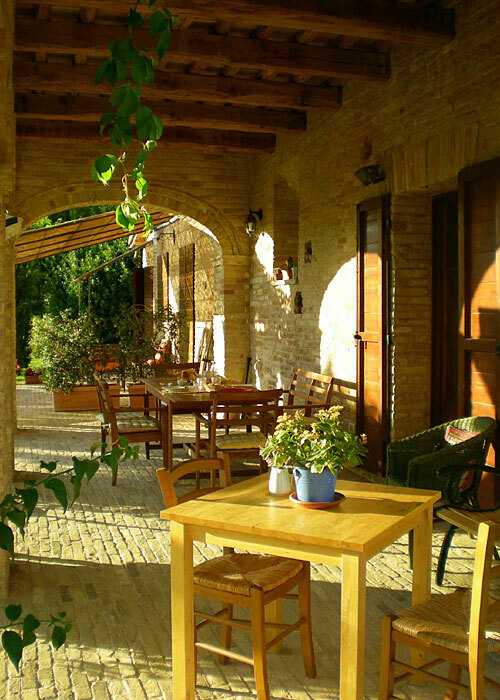 The Agriturismo Fiorano is situated in the district of Cossignano, small town of medieval origins in the heart of the Marche. With an excellent position close to all of the most important places in the region, Agriturismo Fiorano is within easy reach of the Riviera delle Palme, and the world famous bathing resorts of Grottammare and San Benedetto del Tronto, the city of Ascoli Piceno, and the Monti Sibillini and Monti della Laga National Parks.